The Restoration House is a multi-year, supportive housing program located in Knoxville, TN. The Restoration House is designed to increase self-sufficiency for single parent families. The program consists of three key components. The Restoration House also provides Enrichment classes (parenting, financial literacy, etc.) and partners with Emerald Youth Foundation for a year-round youth development program for elementary, middle school, and high school aged children. TRH will refer families who do not meet the program criteria to community organizations that may better suit their needs. What is the family selection process like? Initial review of referral information followed by a phone call to the person or agency referring the family; the family is then requested to contact The Restoration House. Families who do not meet our minimum requirements will be referred to a community agency that can better serve the family. Upon referral approval, an invitation for Orientation is extended.  The prospective participant will learn in-depth information about The Restoration House program, and have an opportunity to complete a housing application. The Viewpoint class is designed to give families an opportunity to share their outlook on life and how they approach it. It also gives them a chance to ask further questions and get more information about our program. The in-depth interview with the Family Advocate and Program Coordinator helps The Restoration House consider what a family has experienced, what their current circumstances are like, and what vision they have for their future. The TRH staff reviews each application after each * step within the process. At each point of the selection process an appeal may be made. *The entire process can take up to 4-6 weeks depending on the number of applicants and openings. Preference will be given to those families with very low and extremely low incomes. If you are interested in referring someone, whether you are submitting a referral on behalf of an agency, church, or organization OR if you are self-referring or referring another individual, please click the buttons below to get started.